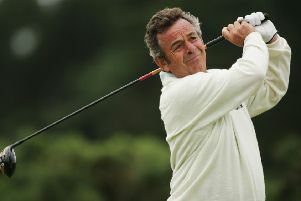 Former R&A chief executive Peter Dawson. Peter Dawson has stressed the need for “golf to put on a good show” when the sport makes its return to the Olympic Games in Brazil this summer after a gap of more than 100 years. While Dawson retired as the R&A’s chief executive after a 16-year stint last autumn, he is still actively involved in golf through two different but equally exciting posts. One is as an advisor to the Dubai Government as it explores opportunities to grow the game in the emirate, with Dawson getting his teeth into that during a busy week of meetings that coincided with the recent Desert Classic. While that door opened after he’d left the R&A, Dawson was still in office in St Andrews when he was appointed as president of the International Golf Federation, the organisation in charge of the sport being part of the Olympics for the first time since the 1904 Games in St Louis. Lydia Ko, the women’s world No 1, celebrated her win on home soil in the New Zealand Women’s Open last weekend by saying there was “so much excitement and vibe” around the Olympic tournament. Separate men’s and women’s events will each involve 60 players competing in a 72-hole stroke-play format competition, with Catriona Matthew and Russell Knox both in with a chance of representing Great Britain. In his Dubai role, which has already involved a personal audience with Sheikh Mohammed, Dawson’s brief is to use his expertise to come up with ideas on how to build on golf’s solid footing in the emirate. “I’ve started by talking to all sorts of stakeholders, clubs, managers there, Government departments, making sure that golf being offered in Dubai is as excellent as Dubai’s general reputation,” he said.